The Human Development Institute (HDI) has been providing training for potential small business owners in Papua New Guinea. It is registered with the National Training Council and recognised to provide training that is specifically tailored to help individuals and families find their financial independence. The programme is spearheaded by Samuel Tam, a long time Papua New Guinean businessman, and supported by the Entrepreneurial Development Training Centre in association with Global University for learning based in the United States. He, along with several of his trainers, has been working very tirelessly to assist Papua New Guineans find their destiny and true economic independence and be more self-reliant. Simply put, economic wealth can be created by Papua New Guineans for Papua New Guinea. HDI in collaboration with the Bomana prison outside Port Moresby, entered into an arrangement to train prisoners to focus on creating value and re-branding of individuals, families, unemployed youths, mothers, including educated and working class. This enables them to find their true worth to change their destiny, create value/add value and be useful in society in their different endeavours. The programme was extended to including staff, dependents of staff and community living in and around Bomana, Laloki and nearby settlements. Under this collaborative arrangement, three training programmes were planned to be conducted for April, May and June 2018 in batches of 100 per batch. The first two batches have graduated and the last batch is due this month. The training is modelled on peer learning or seminar-based approach on a three-tier learning platform. The first tier prepares the course participants on value systems of personal viability or “mi inap.” Under this tier, conceptual groundwork and value systems are discussed and elaborated based on group discussions. It is a tier of self-analysis and diagnosis. What is significant in this tier is that the basic principles of project-based accounting are introduced for small business initiatives. At the very beginning, it creates opportunities for business development and growth by looking at financial assets break point, gross profit, profit margins, quantity assets break point, income distribution and the balance sheet for a business initiative. The second tier is the Game of Money (GoM), it is how to grow the money using the concepts acquired in Tier 1. The objective of this tier is to instil discipline to make participants become financially independent. It is for both business owners and individuals who want to manage their limited resources effectively. The GoM develops the skills on the use of money to create business and to grow the business and also their families and lives efficiently and effectively. The focus is roll-over money, organisation of human resources, time, preparing book of accounts , profit and loss statements, preparing balance sheets and identifying financial indicators that make businesses viable or otherwise. The take home is to grow a mere K10 given to the course participation to K1,000 in six weeks. This is the practical part of second tier. The principle here is action. It is putting into practice what you acquired in Tier 1. It is said that many people are full of theory but have no practice. This tier activates the participants’ business potential and acumen. The participants are coached how to make their money grow from K10 to K1,000 within the timeframe of six weeks. The principles learned can be implemented in various business opportunities one wishes to enter into based on skills and potentials. It is learning by doing. This tier is really about how to be rich and successful as a leader personally, in family settings and in business. It is to bridge the gap between mere theory and practice, particularly in the use of human resource assets. The programme starts with development of a master plan. The plan identifies different skill sets that could be tapped to develop projects to achieve desired goals and objectives. This will create success stories for many families and individuals. A project-based business model is introduced and personalised coaching is provided over a 24-week period to actually develop sustainable business for those who really want to prosper. It really requires discipline to achieve this tier. As the saying at HDI goes, “If you give fish, we feed you for a day. If we teach you to fish, we feed you for life.” This is the central theme for business skills, knowledge development and capacity building. It is learning by doing so the participant goes out with very practical skills sets for their betterment, create self-employment and generate income earning opportunities. The HDI approach to training has been implemented since 1995. This training is required at a massive scale to be able to achieve its intended objectives. 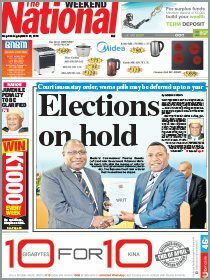 Papua New Guineans can be viable. What is needed is to scale up the training to provinces to instill the values and skills to run small businesses that are sustainable with consistent income streams. The HDI approach can be used as a vehicle for SME growth in a massive scale that, if appropriately supported, can create the economic base for growth and development. Many government policies have been prepared and endorsed by government and tailored to help the people of this country; Vision 2050, policies on rural economic development, SMEs, the prison industry, policies on women empowerment, poverty reduction and so on. What has been lacking is implementing those policies to achieve their intended aims and objectives. If they have been implemented the results have been mixed. There has been minimal impact. Families and communities are struggling to make ends meet. The enabling environment for actioning those policies are absent or not available. Instead of progression there appears to be a regression of those policies and programmes. For instance, a survey conducted in Port Moresby indicates that many of the businesses conducted in Port Moresby are owned and operated by outsiders, not Papua New Guineans. We needed a change of direction to help secure the economic base for growth and development. 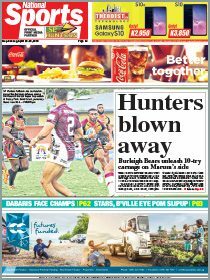 This can be done through appropriate training, capacity building and skills development of Papua New Guineas to be focused, disciplined, change their attitude to become game-changes and pace-setters. The business incubation training conducted by HDI to look at business start-ups could be a vehicle and agent of change to realise our vision for a wealthy and healthy Papua New Guinea. Economic independence cannot be achieved if our people lack the knowledge and skills to make it happen. From an ordinary person’s perspective, the HDI training programme provides the foundation for an expansion of the economic base and activities. If appropriately supported and rolled out SMEs will flourish and become sustainable. Many SMEs have failed because their owners lacked the knowledge and skills to be sustainable as there were no proper coaching and practical clinics conducted to help them become successful. A sustained roll out programme could help make a small difference to an individual to contribute meaningfully. If many people acquire the knowledge and skills, and enter into productive areas of the economy, the economic base can be expanded. It can be done if and when appropriately supported and sustained. It is recommended that the SME policy directorate adopt and use HDI training for SME business incubator training in our districts and provinces. The author, an inmate at Bomana, also attended the three-week training.